TNSET Exam Notification 2018-2019 Apply Online Application Form for Assistant Professor Posts. Tamil Nadu State Eligibility Test Interested Candidates are requested to apply on-line through Official website www.tnsetexam2018mtwu.in. TNSET 2018 Exam Application online Apply Now. The last date for submission of Online applications is 09.02.2018. TNSET Syllabus, Question Paper, Admit Date Release Date, Exam Date, Result Date etc. the stipulated criteria before Applying Now. As a Nodal Agency of the UGC, the Mother Teresa Women’s University, Kodaikanal announces the conduct of the State Eligibility Test (TNSET 2018) on 04.03.2018 (Sunday) for determining the eligibility for Assistant Professor in Tamil Nadu Universities and Colleges. The University will conduct TNSET 2018 in 26 Subjects at 11 Examination Centers across the State. 2. Candidates who have appeared or will be appearing at the Master Degree(final year) examination and whose result is still awaited or candidates whose qualifying examinations have been delayed may also appear for this examination. However, such candidates will be admitted provisionally and for those who clear the TNSET 2018 examination will have to qualify within two years from the date of TNSET 2018 Examination, failing which they will be treated as disqualified. Candidates shall appear for TNSET 2018 examination in their relevant subject of their Post-Graduation only. In case the Candidate did not find the subject of their Post Graduation in the list of TNSET 2018 subjects, the Candidate may appear in UGC-NET / UGC-CSIR NET which is held twice a year. 4. Candidates other than General Category are required to mention their Social Status in the Online Application Form. Candidates may note that they should satisfy the eligibility conditions with reference to the documents such as Community Certificate and Certificates related to PwD (VI/HI/PH), OBC(Creamy /Non Creamy Layer), when they upload their applications. 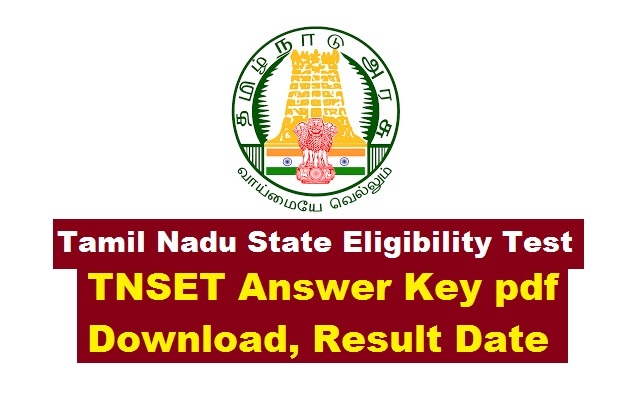 The Income Certificate and Community Certificate uploaded by the candidates must be issued by the competent authorities.In case any of the Certificates mentioned above is found to be invalid by the TNSET 2018 authority at any stage, their candidature will be cancelled and they shall be liable for legal action. 5. Candidates should note that their candidature is provisional. The mere fact that an admission card has been issued to a candidate will not imply that the TNSET 2018 authority has accepted his/her candidature. Candidates may note that candidature will be deemed final, only upon verification of eligibility conditions. * The candidates who have completed/ appearing in their Master Degree in Physics / Electronics / Atomic & Molecular Physics / Classical Dynamics / Condensed matter Physics/ Electromagnetic / Experimental Design / Nuclear, Space & Particle Physics / Quantum Physics / Thermodynamics, Astronomy, Astrophysics and other related subjects can take up TNSET examination under ‘Physical Sciences’. * The candidates who have completed / appearing in their Master Degree in Pure Mathematics / Statistics / Applied Mathematics, Mathematics with Computer Science & other related subjects can appear for TNSET examination under ‘Mathematical Sciences’. * The candidates who have completed/ appearing in their Master Degree in Chemistry / Chemical Sciences / Analytical Chemistry / Inorganic Chemistry / Organic Chemistry / Physical Chemistry / Medicinal Chemistry / Applied Chemistry / Nuclear Chemistry / Environmental Chemistry / Marine Chemistry / Pharmaceutical Chemistry / Bio-organic Chemistry & other related subjects can taking TNSET 2018Examination under ‘Chemical Sciences’. * The candidates who have completed / appearing in their Master Degree in Bio Chemistry / Biology / Bio Technology / Bio Diversity & Taxonomy / Botany / Genetics / Microbiology / Physiology/ Zoology / Fishery Science / Animal Biology / Marine Biology / Applied Genetics & other related can write TNSET examination under ‘Life Sciences’. * The candidates who have completed / appearing in their Master Degree in Geology / Applied Geology / Geo-physics / Meteorology / Oceanography / Physical Geography / Earth Science / Earth & Atmospheric Science / Earth Science Resource Management / Marine Geology / Petroleum Geology / Geo-informatics / Geographical Information System (GIS) / Applied Geochemistry / Geography & other related subjects can taking TNSET examination under ‘Earth Sciences’. Those Post Graduate students who have passed Post Graduate examination in more than one subject can appear for TNSET 2018 examination only in one subject at a time. There is no upper age limit for applying for TNSET2018 examination. 1. After filling up all the details for applying online for TNSET 2018, the candidates have to select the option of payment of examination fee either by credit/debit card or net-banking. In case the examination fee is paid through credit/debit card or netbanking, the applicable taxes and convenience fee, etc. will be additionally charged. Application submitted without the prescribed fee will be rejected. Passport size photograph in JPG format of the file size prescribed in the online application websitewww.tnsetexam2018mtwu.in. Signature of the candidate in JPG format of the file size prescribed in the online application website www.tnsetexam2018mtwu.in. Income Certificate, Community Certificate and PwD Certificate issued by Competent authorities are to be uploaded in PDF format of the file size prescribed in the online application website www.tnsetexam2018mtwu.in. 2. Candidates are strictly instructed to upload their Photograph, Name with initial, Name of parents with initials and mobile number accurately and correctly. The mobile number once registered cannot be changed or used for another candidate. The University will not be responsible for any lapses on the part of the candidates.